We constantly move our gaze to gather acute visual information from our environment. Conversely, as originally shown by Yarbus in his seminal work, the elicited gaze patterns hold information over our changing attentional focus while performing a task. Recently, the proliferation of machine learning algorithms has allowed the research community to test the idea of inferring, or even predicting action and intent from gaze behaviour. The on-going miniaturization of gaze tracking technologies toward pervasive wearable solutions allows studying inference also in everyday activities outside research laboratories. This paper scopes the emerging field and reviews studies focusing on the inference of intent and action in naturalistic behaviour. While the task-specific nature of gaze behavior, and the variability in naturalistic setups present challenges, gaze-based inference holds a clear promise for machine-based understanding of human intent and future interactive solutions. 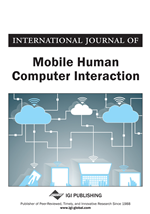 Work toward this paper started from organizing the workshop2 on “Inferring user action with mobile gaze tracking” as part of the Mobile HCI 2016 conference in Florence, Italy (Toivanen et al., 2016). The objective of the workshop was to map out the developing field of task and intent recognition in natural gaze interaction. The round-up talk after the workshop forms the basis of this contribution.